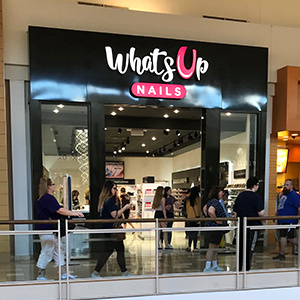 Create the perfect summer nails with 2 hot new Whats Up Nails stamping plates! B028 Tropical Escape will let your nails take a vacation with island inspired designs like a panda with bamboo, peacock feathers, and palm trees! Pick up B032 Floral Swirls for gorgeous blossoming damask patterns to create elegant stamped nail art! Let the floral designs roll on with our restock of the popular B018 Fields of Flowers plate loaded with amazing flower patterns. Get ready for the new school season with our new B030 School's in Session plate featuring a ruler, chalkboard doodles, mathematical equations and more! Pair this new plate with adorable new Pencil Stencils and create nails that show the world your love for learning!